Ants are a nuisance we have all faced at least once in our life. They are considered to be the most complained about pest in North America. Ant control in NYC is not a simple fix, and they will not just “go away.” Ants are unique in their method of infesting your home by leaving a pheromone trail for the rest of its buddies to follow! Well for starters, like every other pest they are looking for one of three things, food, water or shelter. Ants enter your home through tiny cracks or openings around the exterior of your home, which is why it’s so vital to make sure all small openings are sealed. 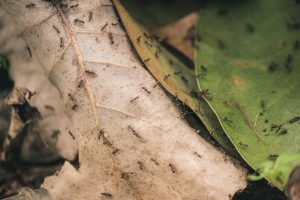 Your home represents a comfortable habitat for ants by protecting them from possible predators and weather conditions, which is why it is imperative to treat before it’s too late! This is where we come into action. Ants are not a simple fix and we strongly urge you not to attempt treating on your own, as you will spread your infestation. We have specific programs for ant infestations. Our treatment focuses mainly on the exterior of the home. We perform a thorough inspection of the exterior and try to figure out where the pests are gaining access. We then create a chemical barrier around your home to kill off any pesky insects that try to make their way in. Next, we seal off all potential entry points and then turn our focus to the inside of your home where we will eliminate the current infestation with a combination of gel baiting and aerosol crack and crevice treatments. 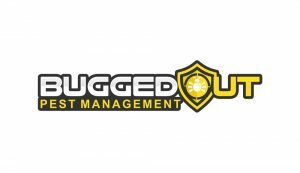 Call Bugged Out Pest Management if you can’t handle your ant infestation problems.